Super clean 3L Turbo Diesel runs great, Very rare, Very reliable, 3" lift, 5 - 33" Mickey Thompson tires in excellent condition, Kenwood led sat nav system with 800w amp stereo, 3000' range remote start, alarm, auto door fob (both in, but need to be wired). 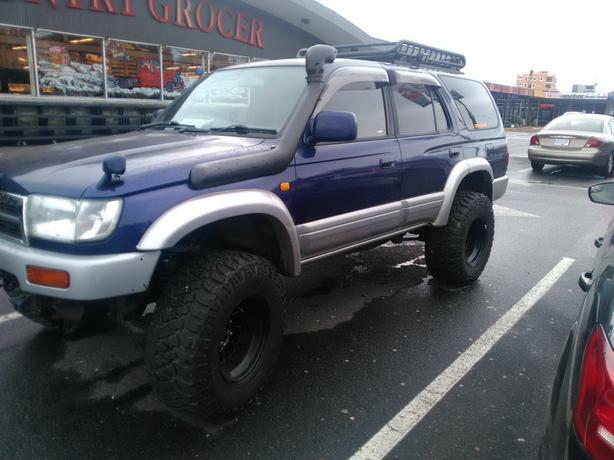 The Hilux drives great, great tires, missing small minor misc plastic beauty caps, needs 3 steering rack bushings. First $13000 get's this rare find.